Home Health & Beauty How far will you go to reduce your beef intake? 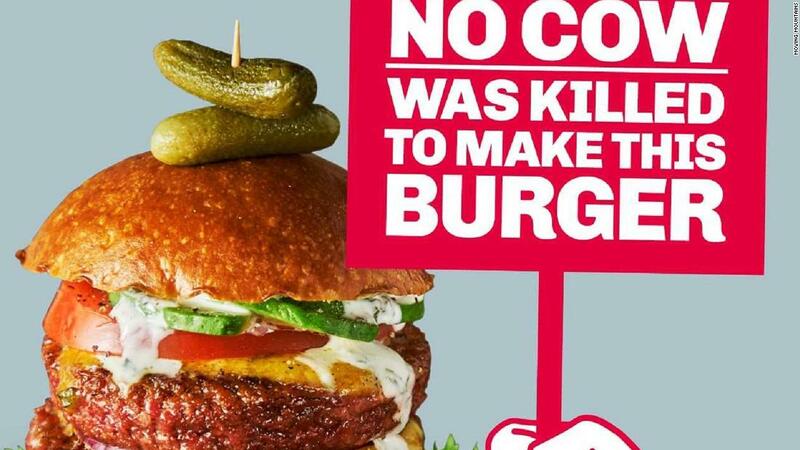 (CNN) The news of a “bleeding” burger with zero meat hitting supermarket shelves in the UK last month was divisive. Passionate carnivores cried out that they wanted real meat, while some vegans and vegetarians complained that veggie alternatives shouldn’t have to dress up as meat. So, whom does the bleeding burger appeal to? The flexitarians, of course. These are the people who are trying to incorporate more plants into their diet and less meat. It may be for health reasons, such as lowering the risk of obesity, heart disease and Type 2 diabetes, or to cut costs. Or perhaps it’s the realization that globally, we will all have to reduce our meat consumption given the mammoth environmental crisis we have found ourselves in. In October, a landmark report by the UN Intergovernmental Panel on Climate Change warned that we have 12 years to limit global warming to 1.5 degrees above pre-industrial levels, or we will face devastating consequences. The target is feasible, it says, but only with “rapid, far-reaching and unprecedented changes in all aspects of society.” This includes a global dietary shift away from greenhouse-gas-intensive foods such as beef and toward healthier and more sustainable diets. But changing a diet isn’t easy. That’s why we’ve come up with a guide to reducing your beef consumption, for all varying degrees of commitment. 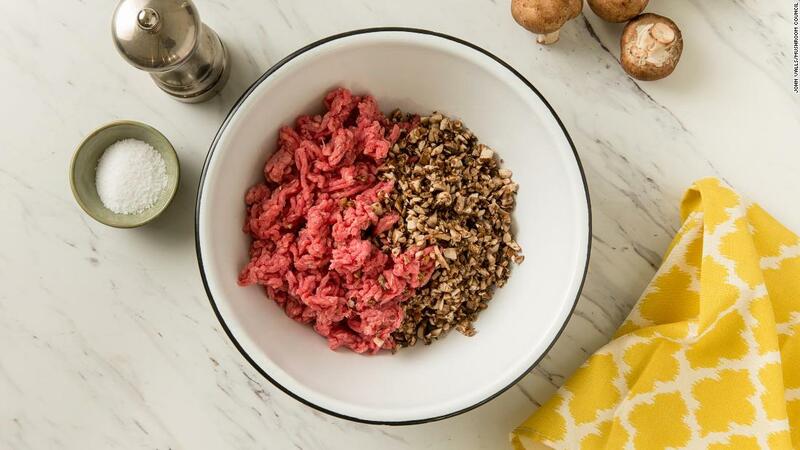 If you’re not willing to give up quarter-pounders just yet, why not try substituting a third or so of the beef content for vegetables, such as mushrooms? If 30% of the beef in every burger in the United States were replaced by mushrooms, it would reduce greenhouse emissions by the same amount as taking 2.3 million vehicles off the country’s roads, according to data gathered by the World Resources Institute. 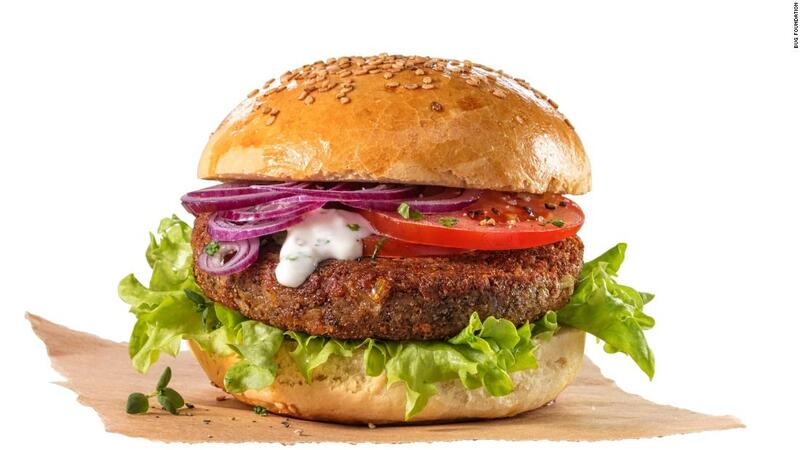 “We want to help shift offerings to more plant-based or plant-rich options but do it in a way that is consumer-friendly and good for the bottom line,” said Richard Waite, a food researcher from the institute. It’s a step in the right direction, says Marco Springmann, a senior researcher on environmental sustainability and public health at the University of Oxford, but it can only be the starting point. The beef content and corresponding emissions would still be high, and they wouldn’t cut the mustard for Intergovernmental Panel on Climate Change targets. “You might be better off switching to chicken or pork,” he said. Cows emit about 10 times more greenhouse gases per kilogram of meat than pigs and chickens, which themselves emit about 10 times more than legumes, says Springmann, who led a study assessing the impact of food production on the global environment. This is because cows need more feed than other animals, he explains, and that feed requires water, land and fertilizer to grow. In addition, cows emit the greenhouse gas methane during digestion, making them especially high-emitting. Therefore, switching your beef burger to chicken or pork would make a tangible difference. “The important thing is that you limit red meat consumption to one serving a week,” Springmann said. Demand is high. 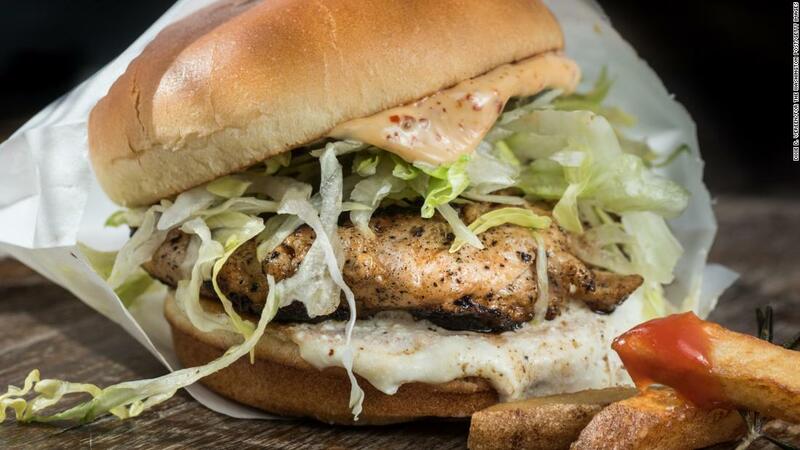 Beyond Meat is not the only brand launching these products; there’s also the Impossible Burger and the Moving Mountains burger, among others. 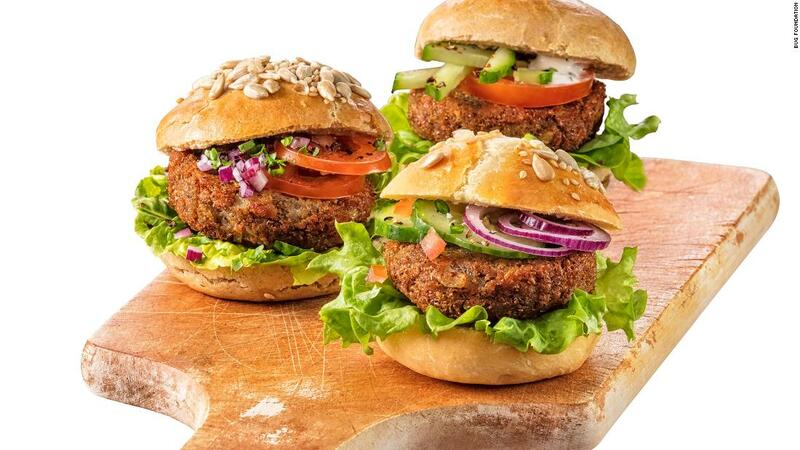 In fact, the global market for meat substitutes is forecast to grow from an estimated $4.6 billion in 2018 to $6.4 billion by 2023, according to research firm MarketsandMarkets. If you’re after a novel way to cut down on beef consumption, this may be it. Springmann, who has carried out research on insects as an alternative to meat, agrees on the environmental benefits, but he is skeptical of the cost. “In high-income countries, insects are actually fairly expensive because they are such a niche product,” he said. The final option — which may require some patience or a big wallet — is in vitro or “clean” meat, produced by extracting stem cells from animals and then growing and multiplying those cells in a lab to create a piece of meat. According to one study from the University of Oxford, cultured meat could result in 78% to 96% lower greenhouse gas emissions and use 7% to 45% less energy, 99% less land and 82% to 96% less water than traditional methods. Mosa Meat, one of the earliest creators of lab-grown meat, also claims that it has positive health impacts. It is produced in a sterile environment, therefore reducing the risks of foodborne illnesses, and it is free from antibiotics and artificial growth hormones. While production scales up, prices would need to scale down. 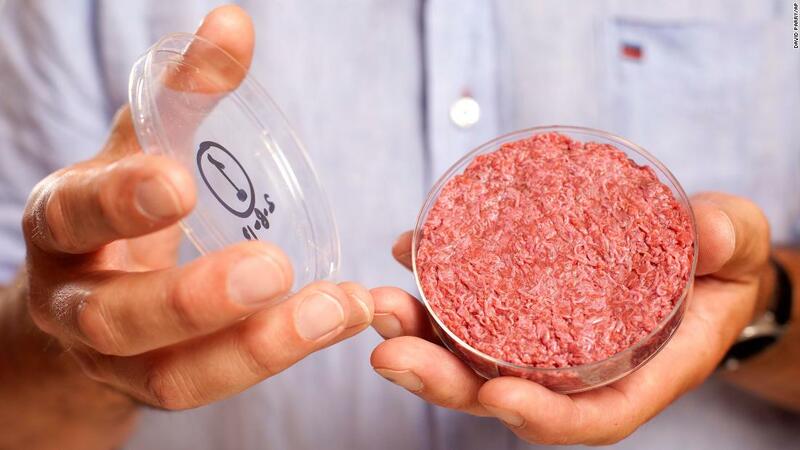 Mosa Meat’s first in vitro hamburger, revealed in 2013, cost $330,000. Experts such as Springmann think it will be a far stretch to get those prices down to a competitive level.